The Managing Director of Migration Associates Borey Chum has joined the board of directors for the New Zealand Association for Migration and Investment (NZAMI). The NZAMI has been New Zealand's leading professional association for immigration practitioners since 1989, and works closely with Immigration New Zealand (INZ) and the Immigration Advisers Authority (IAA) in its commitment to playing a major role in building the professionalism of the immigration industry in New Zealand. The Directors and staff of NZAMI are a highly committed team of immigration practitioners that work with industry and stakeholders to achieve the aims and objectives of the association. The group comprise of highly experienced Immigration Advisers and Lawyers who are committed to giving the best service possible to their clients, as well as a range of service providers who help migrants with important settlement matters such as finding a job, banking, housing, relocation, education. Borey will be at the heart of the immigration industry and working with the private sector and government and has a passion to make a difference. His role on the board is within the committees of Continuing Professional Development, Policy and Advocacy and Awards. Of particular interest, is his involvement in the policy committee, given his academic background (Bachelor of Law and Bachelor of Arts majoring in Political Science). Borey sits on the board alongside eight other directors, vice chairman and Chairman. To see the full board and their roles, click here. At the time of writing the article, Borey has only just returned from the UK where he held a NZAMI CPD seminar in New Zealand House in London in November 2018, which was hosted by INZ and well attended by Immigration Advisers and Lawyers in the Europe region. It appears that Borey’s contribution is being well received around the world and we congratulate Borey on this exciting new position! In August our Managing Director Borey Chum will be attending the 2018 New Zealand Association for Migration and Investment (NZAMI) annual conference. This is an opportunity for us to keep abreast of the latest changes within the New Zealand migration industry, and we wanted to share with you the agenda, so you can see some of the current topics that are important within New Zealand’s current immigration climate. Borey Chum has spoken at previous NZAMI conferences in Auckland and Christchurch as a recognised voice within the NZ immigration market. NZAMI is New Zealand’s leading professional association for immigration advisers and works closely with Immigration New Zealand. The morning session will begin with a talk from Steve Stuart, the General Manager of Visa Services for Immigration New Zealand. Steve will talk about new initiatives underway to help NZAMI registered immigration advisers to work more collaboratively with INZ, as well as providing an update on the implementation of the new Visa Services operating model. This will follow with a focus on Immigration’s role in NZ’s changing economy, a talk given by Tony Alexander, Chief Economist, Strategy and Business Performance at Bank of New Zealand. The afternoon will kick off with a presentation from Dwellworks International who offer relocation support services. Their presentation focuses on managing cultural differences encountered in immigration. This presentation will be followed by a panel of speakers, who will discuss changing attitudes to policy implementation. This session will discuss the role that should be played by New Zealand, a country built by migrants and will feature lively discussions with speakers chosen for their first-hand knowledge and views on the effectiveness of immigration policies. They will discuss if policies are recognising the significant impact migrants make on the economy through contributions as workers, taxpayers and consumers. They will explore the varied causes of the current crisis and the unique challenges that come with migrants. Migration Associates are registered members of NZAMI, and Borey Chum was a finalist in 2017’s Immigration Adviser of the year. We work hard to ensure we have the most up to date and relevant information on the NZ immigration and visa industry in order to best assist you. If you are considering working and living in New Zealand and are looking for a licenced adviser to help assist with your New Zealand visa application, get in touch. Start today by filling out our free initial visa evaluation. Do you work in Construction? New Zealand needs you! In November 2019, Migration Associates and New Zealand Skills in Demand are hosting Seminars in London, Birmingham, Manchester and Bristol across the UK for those who want to find out more about living and working in New Zealand. We are delighted to announce that New Zealand’s largest Trade Recruiter will be coming from New Zealand to attend these Seminars, and for those with the right skills set, interviews will be conducted before, during and after the Seminars for 2019/20 positions across New Zealand – this means you could walk away with a New Zealand job offer! This is a unique opportunity for you to speak to representatives of New Zealand’s largest Trade Recruiter regarding employment opportunities across New Zealand in 2019/2020 face to face. Whilst the events will have a specific Construction focus, we welcome everyone who is looking to live and work in New Zealand. The events are a fantastic opportunity to learn about a NZ lifestyle from Kiwi experts. You will get learn all the essentials about visas and jobs, get your burning questions answered and meet others who are looking to live and work in New Zealand. Find out more about This is New Zealand Seminars here. Employment forecast to grow by 153,000 over the next three years. The Short-term Employment Forecasts: 2017 - 2020 report was released today by the Ministry of Business, Innovation and Employment. Employment across sectors and regions is forecast to grow by 2 per cent per annum or 153,000 over the three years to March 2020. Highly skilled occupations such as managers and professionals are forecast to grow faster than overall employment growth, at 2.9 per cent or 31,600 per year. Business services is forecast to make the largest contribution to employment growth, up 33,300, with construction and utilities close behind up 19,400, and health care and social assistance up 15,500. All regions are forecast to grow over the next three years – with growth strongest in the Auckland and Waikato regions. Rural regions including Marlborough, Tasman, and the West Coast are forecast to grow at a faster rate, with all summing up to 6,500 more workers to the projected growth in 2020. Low skilled workers will account for 29 per cent of the overall employment growth by 2020. The unemployment rate is forecast to decline to 4.1 per cent by 2020. The biannual NZAMI awards were held in Eden Park in Auckland on Friday, 18th August 2017. 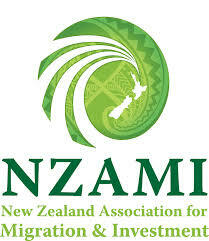 NZAMI is the largest membership organisation representing immigration professionals in New Zealand. Its members have expertise and broad first-hand knowledge of how immigration policies affect migrants and New Zealand businesses. The recent awards recognises talent, hard work, inspiring migrant stories and great service in the New Zealand immigration industry. Borey Chum our Managing Director attended, as he was a finalist for Immigration Adviser/Lawyer of the Year 2017, along with 4 other candidates. Borey was up against tough competition and unfortunately wasn't successful in his category. The awards were incredibly popular with 86 nominees for the for Immigration Adviser/Lawyer of the Year 2017 category, and only 5 finalists, so Borey is delighted to have even been named as a finalist, especially as Borey has only relocated back to New Zealand in April 2016 to establish the New Zealand practice, having established the UK practice in 2009. The NZAMI Annual Conference was held before the NZAMI awards evening, and distinguished names from the New Zealand Immigration Industry attended and presented. Among the notable names was was Rt Hon Michael Woodhouse, Government Immigration Minister. With immigration a hot topic in New Zealand it was interesting to see the Governments vision for NZ immigration and also to listen to other academics and migration commentators deliver presentations on the issues of immigration. The NZAMI Conference and Awards evening was great opportunity for Borey to have the New Zealand immigration industry recognise the work Migration Associates has done, over the years, to assist migrants to work and live in New Zealand. Borey had an enjoyable weekend in Auckland living and breathing the New Zealand immigration industry, which he enjoys very much, and we'll make sure he enters in 2019, hopefully to do even better! We are delighted to announce that our MD Borey Chum is a finalist for the Immigration Lawyer/Adviser of the year award with the NZAMI. The NZAMI is New Zealand's leading professional association for immigration advisers since 1989, works closely with Immigration New Zealand and the Immigration Advisers Authority in its commitment to playing a major role in building the professionalism of the immigration industry in New Zealand. This bi-annual award recognises outstanding Licensed Immigration Advisers or Immigration Lawyers who enhance the migration profession. Candidates will have contributed to the industry by their notable work in assisting migrants during the last 3 years. Borey is thrilled to have reached the finals, and thanked his team for their support. "To be named as a finalist is an achievement in itself and whilst it is me that is fronting the award, I couldn’t do it with the help of all of you over the years and we should all celebrate making it to the finals and have a real sense of pride in this achievement, as you have all contributed. You are all a fantastic team so a big thank you to all of you and well done!" We're keeping our fingers crossed for the 18th August, when the Immigration Lawyer/Adviser of the year will be announced. For the full list and more information about the awards, visit the NZAMI website. In April 2016 Managing Director of Migration Associates took the step that so many of you are in the process of taking, or have already taken – and relocated to New Zealand. Borey is a New Zealander, but has lived in the United Kingdom with his family for the last 10 years. With his children now in primary education Borey decided it was time to make the move home and enjoy the country he spends all his working hours talking about! Borey used PSS removals to ship furniture and belongings to New Zealand, this was packed up and taken mid-January and arrived mid-March. His wife and Children made the move to Christchurch a few months before so his eldest could start a fresh school term. His son has joined a class with only 18 children in total, a totally different experience from his London Primary school. The children are absolutely loving the outdoor life and the weather which has been around 30 degrees Celsius. Borey is in the process of setting up the New Zealand Branch to work alongside the UK Branch, and to assist those who may already be in New Zealand. For anyone who has made the move and living in Christchurch, he would love to catch up over a coffee and find out how you are settling in. His NZ email address is borey.chum@migrationassociates.co.uk – get in touch. From the UK team we wish Borey lots of success in his new life chapter, and we'll miss him!